The bidder for M1 said on Tuesday that it doesn’t intend to raise its S$2.06 a share offer for M1 and that it would extend the closing date of the offer by two weeks. Mapletree Logistics Trust reported on Monday its fiscal third quarter net property income rose 25.9 percent on-year to S$104.49 million on contributions from new acquisition and a recently completed redevelopment project. ST Engineering said on Monday that its electronics arm obtained S$351 million in contracts in the fourth quarter, for sevices in mobility, satellite communications, Internet of Things (IoT), cybersecurity and defense. Keppel REIT reported on Monday its net property income for the fourth quarter fell 15.8 percent on-year to S$30.53 million on lower property income from Ocean Financial Centre, 275 George Street and 8 Exhibition Street, partially offset by higher property income from Bugis Junction Towers. Frasers Centrepoint Trust reported on Monday its fiscal first quarter net property income rose 2.5 percent on-year to S$35.39 million on improved revenue from Changi City Point, Northpoint City North Wing and Causeway Point. Soilbuild Business Space REIT reported its fourth quarter net property income rose 15.3 percent on-year to S$20.47 million, mainly on liquidation proceeds from Technics Offshore Engineering, conversion of Solaris into a multi-tenanted property and the maiden contribution from two Australia properties. Chip Eng Seng’s wholly owned subsidiary CELH Development was awarded the tender for the land parcel at Kampong Java Road at a tender price of S$418.38 million by the Urban Redevelopment Authority, it said in a filing to SGX after the market close on Monday. 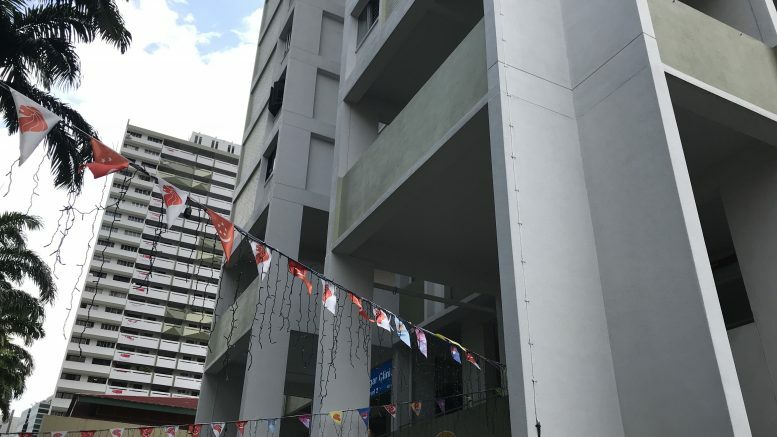 The site is located in a residential area near Newton Circus, bounded by Bukit Timah Road, Makeway Avenue and Kampong Java Road, and within walking distance of Newton MRT, it said. Oxley Holdings said its wholly owned subsidiary Oxley Docklands Quay Two entered a deal to sell No.4 and No.5 Dublin Landings, 72-80 North Wall Quay, Dublin 1, Ireland, to the Central Bank of Ireland for 97 million euros and 107 million euros, respectively. Oxley Docklands is entitled to 79.5 percent of the sale consideration, while National Asset North Quays DAC is entitled to the balance, it said in a filing to SGX after the market close on Monday. China Everbright Water said on Monday that its issue of 700 million yuan corporate bonds to qualified investors in China has been completed and the offering was 2.2 times subscribed. The proceeds will be used to replenish the general working capital of the company’s subsidiaries, it said. The panda bonds will have a coupon rate of 3.89 percent and a five-year maturity period, it said. China Everbright Water said on Monday that its wholly owned subsidiary Beijing Everbright Water Investment Management, or BEWI, had completed the acquisition of the 10 percent of of Dalian Dongda Water it didn’t already own from Dongda Group. Yoma Strategic said on Monday that it tapped Cyrus Pun Chi Yam as executive director and CEO of its 33.3 percent owned Memories Group, effective 1 February, and he will be redesignated as non-executive director of Yoma. In addition, Stephen Purvis will become the new head of real estate division Yoma Land, it said in a filing to SGX after the market close on Monday. Purvis had been with Yoma since 2013, and served as project director and then general manager for Yoma Central, an integrated mixed-use property development, since 2015, it said. Cyrus Pun will continue to oversee Yoma’s real-estate business and assist in transitioning the role of head of real estate to Purvis, it said. Sino Grandness said on Monday that it was still in negotiation with its lender to settle the demand for loan repayment amicably. Last week, the company said it received a letter of demand from lender Soleado Holdings on 8 January for a loan repayment. The company advised shareholders to exercise caution when dealing in its securities. Kimly said on Monday that it tapped Roy Tan Chong Sing, age 42, as an executive director to head the food retail, business development and corporate communications for the company. Since 2017, Tan has been director of human resources and special projects at Kimly. This article was originally published on Tuesday, 21 January 2019 at 7:18 A.M. SGT; it has since been updated to add an item on M1.